This is what I told a client during his first rebirthing session because he came across moments in his life that he wanted to stop living. The amount of sadness was unbearable. Out of self-protection he thought: when I’m gone I wont’t feel any of the sadness I’ve caused. But somewhere deep within he knew this wasn’t true. And now he is here, in my coaching and rebirthing practice after years of struggeling; nasty divorce including the lives of four children and a series of lawsuits. After having read everything he wanted to know about personal development he had to acknowledge that he needed help, he needed healing. In front of me was sitting a highly sensitive and highly gifted man. He is in pain. The pain has surfaced during the last 11 years, because of main life events, but was already present in his childhood. The fear of failure is noticable in many areas of his life. He longs for change. Positive changes. He has learned to give love, but never experienced to receive love. To prepare him for the rebirthing/ breathing session I told him to surrender and not to expect anything. To surrender to the physical expressions of his body. He is a man who mostly lives in his head because of fear, but also because he is naturally curious, a thinker and someone who wants to solve everything by his own. The breathing session would help him to connect his head to his heart. During his first rebirthing session he felt a tingling sensation in his arms and on his chest. He also experienced a lot of tension in his face to the amount that he couldn’t speak freely. Furthermore there was tension released in his neck after having focused on the thought “I accept myself fully”. When you focus on the positive and act out of love you will “massage” the pain out of your system. It was a great first session! Looking forward to the following rebirthing sessions. Many, many heartwarming stories come my way. For instance this story about a young lady in her thirties who came in for the first time. Sharing with me that awful things keep happening to her. And now her heart was fallen apart again, because she destroys everyting good. She wasn’t able to keep a good man. She was afraid and unconsciously she was pushing him away. From the moment he confronted her with her behaviour she woke up and regretted her closed of attitude. She definitely liked him. They shared laughs, good conversations and much more. Why was she pushing him away? During this session lots came to the surface. There was a strong self-destructive mechanism within her system fueled by low self-esteem and self-value. Even though she repeated that it was over with this man she opened herself for my feedback. What I perceived was his loving behaviour, it was a time-out, it wasn’t a strong “no-don’t-want-to-be-with-you-ever-again”. They were both in pain. After the session she gave back to me that they had good conversations, that she felt it wasn’t over yet and that she shared my summary of the session and they talked about the content. Fantastic. I felt so proud of her. She turned around her “faith”. 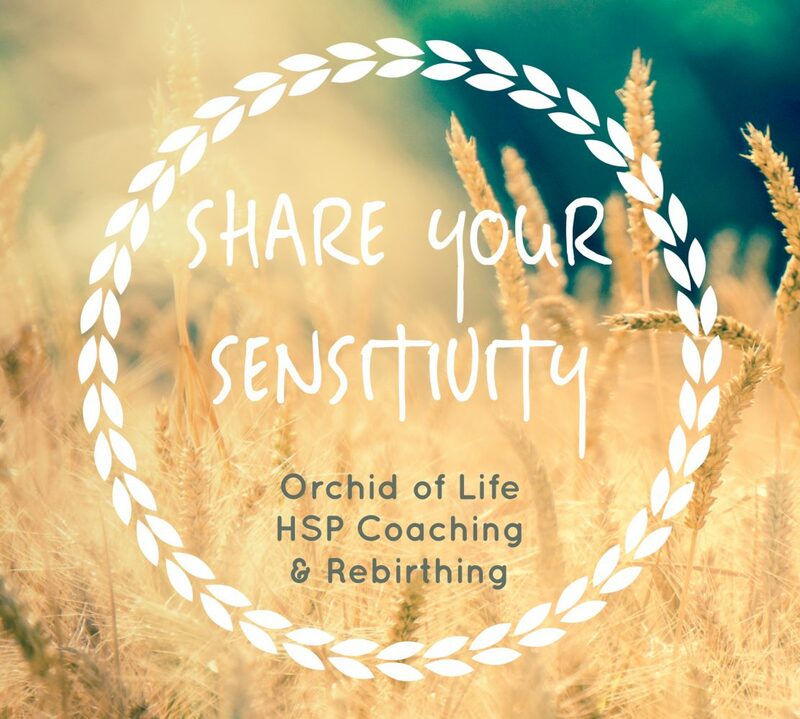 This happened indeed to a highly sensitive lady who came in for her 14th coaching & rebirthing session. She felt her willpower and even though she had the fear of fainting her willpower to get rid of her fears and obsessions was far bigger. She continued doing the conscious connected breathing and lots of restlessness was expressed through movements of the body. On top of that we had awaken her soul. She heard the powerful sound of her voice for the first time. In her words: ‘My chest didn’t hurt anymore while I expressed my voice.’ During the previous session she went through a deep rooted fear; her body was restless, inhaling was difficult and she thought she would faint. In such a situation I intervene with making sounds and she followed. She connected with the pain. I held her hand and she pinched me hard. The weeks before this session she felt emotional numb, very tired and only wanting to crawl up below her blankets. After this session she needed a week to recover including symptoms of a cold, but when she walked in for her 14th session I saw a different person. In her daily life she is standing up for herself, she expresses her needs and gets back remarks of being too feisty and that she needs to hold herself down. She doesn’t agree. Finally she knows she is able to recover from her fears, panic attacks and obsessions. She will continue until she can fully trust and embrace her own being. So this morning I got up and gave myself a rebirthing session. I couldn’t do otherwise. This pain on my left shoulder has been there since end of Christmas holidays. At the beginning of this week I woke up and my body felt paralysed. I couldn’t move. Another pain which arose on my chest was hurting me. This pain was strongly connected to the pain on my left shoulder. I thought of a yin yoga pose and put a cushion under my back. In this pose I started doing the conscious connected breathing. The pain on my chest moved downwards to my belly. It felt like cramps, but not from the inside out (from my stomach), but more like just under my skin. I’ve cried a couple of times. Afterwards I removed the cushion and took my time to let the pain melt down. I knew it wasn’t over, I knew I hadn’t achieved my goal. This was merely to get myself going again. Getting up, being able to work and parent. On the same day I felt at ease with my body, but the next day I woke up with a clouded mind. I knew this was inflicted by the emotional pain which hid in my body. 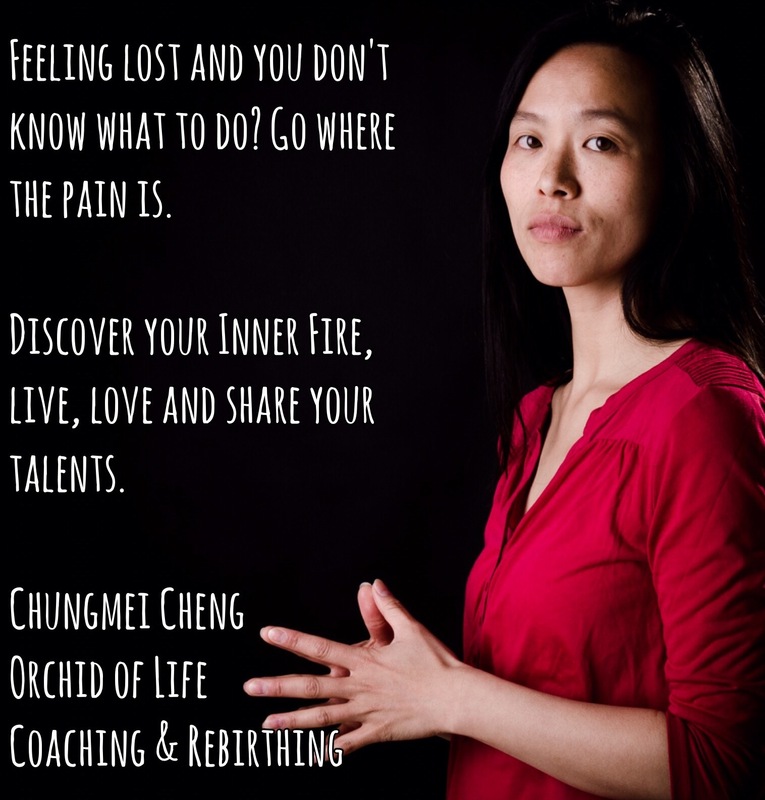 This pain would surface as physical pain as soon as I would have the time to help myself with a rebirthing session. The days after the pain on my left shoulder had spread to the right side and I also felt it moving downwards over my back and to my left arm. For a couple of days now I thought about asking my friend who works as an osteopath to give me a treatment. It would definitely get the energy in my body moving. But thinking about the upcoming work week I didn’t see time to recover from the treatment. This and also the current amount of pain I was in motivated me to help myself as soon as possible. I was about to last evening, but taking my youngest to bed I fell asleep. Probably I was super tired, because of having walked around with these pains. After more than 12 hours of sleep I have been doing the conscious connected breathing for 40 minutes on the couch. During these 40 minutes I discovered a new position which stimulated the pain on my chest to move away from the chest. The position was derived from a yin yoga position I knew. I folded by chest towards my legs which were straightened with a tiny bend in my knees. My arms laid next to my hips and legs on the couch. So the pain on my chest started moving with every in- and out breath I took and space was created in and around the pain on my left shoulder. I will continue my self-healing work at some other point. Now Saturday begins and I have like 30 minutes left to continue with the preparation of my third FB Live on HSP & Love.